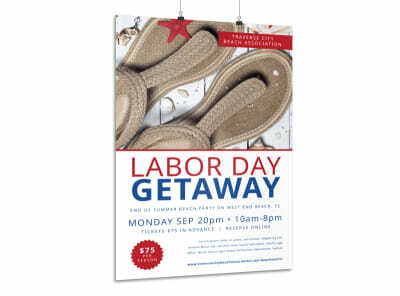 Customize our Labor Day Grill Sale Poster Template and more! 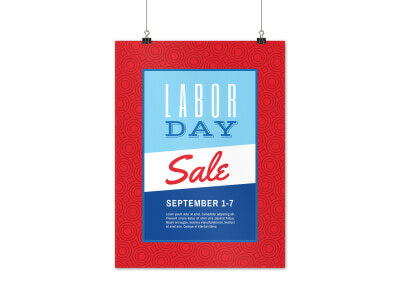 Labor Day means one thing to shoppers: savings! 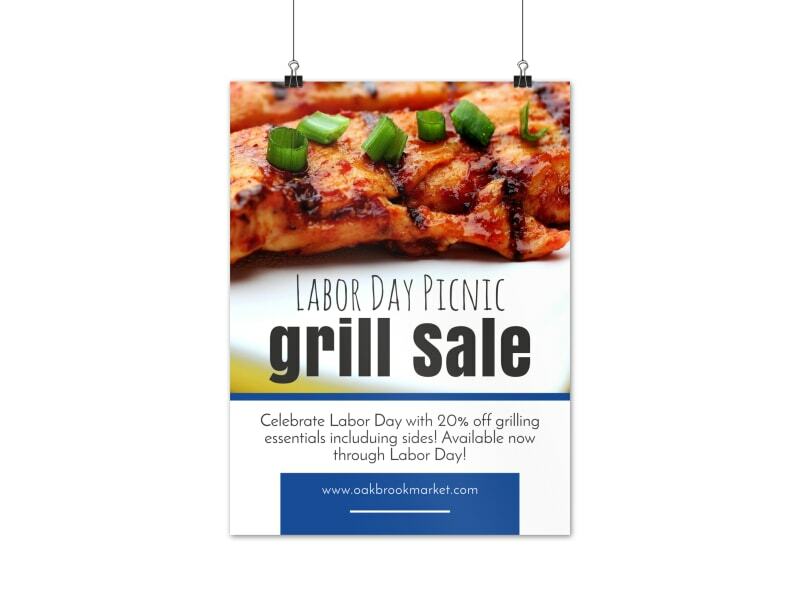 Showcase an upcoming sale with this grill-themed poster that helps garner attention from the store window or shop wall. 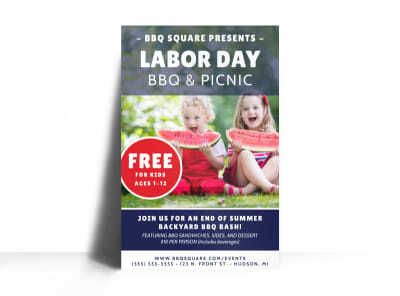 Add your own touches, including text, graphics and photos, select custom colors and more. 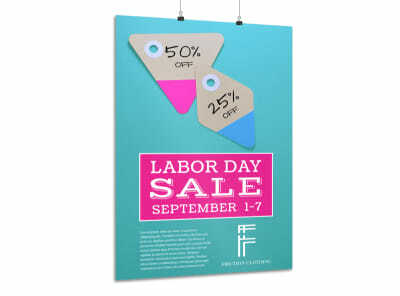 Start now and have your poster ready for self-printing and display in no time!